It is now evident that, by and large, the Jewish establishment has adopted a policy of deafening silence in relation to condemning or protesting against the virulent one-sided political attacks and sins of omission by the Obama administration concerning our barbaric adversaries. It is only the outspoken Zionist Organization of America and minor fringe groups that have been directly speaking out against the Obama administration’s intensified anti-Israel rhetoric. Until now, I had a nagging suspicion that the failure of American Jewish leaders to confront the biased Obama administration attacks on Israel was not merely a reasoned strategic approach. But aware of their devotion to Israel and having witnessed their former stalwart defense of Jewish interests, I was reluctant to conclude that fear was their primary consideration. But the ongoing silence by the Jewish establishment in relation to the current disgraceful behavior of the Obama administration, its secretary of state, and State Department spokesmen, is incomprehensible. Today Israeli Jews are confronted by frenzied psychotic young Arabs who have been brainwashed into believing that murdering innocent Jews will deliver them directly to paradise and transform them into glorious martyrs. This barbarism, inculcated by hideous indoctrination from kindergarten and subsequently nurtured in the mosques and throughout Palestinian social media, is creating monsters. It is publicly sanctified by Abbas, who has whipped up a frenzy on the insanely false allegation that Israel is bent on destroying Al-Aqsa mosque and building a Jewish temple on its ruins. The demonic madness is fortified by the heroic profile the Palestinian Authority adopts in relation to the killing sprees and which Abbas refuses to condemn. The perpetrators are also aware that if they survive, the PA will pay them generous salaries in prison and provide pensions for their families. Under such circumstances, one would surely expect leaders of the civilized world to condemn these Arab murders of innocents. But aside from lip service condemning “violence,” world leaders and global organizations have, at best, adopted a sickening morally relativist position in which Jewish victims are equated with their murderers. Until now, the United States took pride in defending Israel and proclaiming its shared values and common democratic Judeo-Christian heritage. 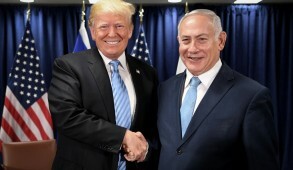 Even though there were occasional policy differences between the countries, Israel considered itself a true ally of the U.S., irrespective of whether a Democrat or Republican occupied the Oval Office. Since Barack Obama was elected president, in his obsession to build bridges between the U.S. and Islam, he sought to demonstrate that there is daylight between Israel and America. His Third World outlook also led to his abandoning long-term U.S. allies and groveling to Islamic fundamentalist terrorist states like Iran, mistakenly believing that by appeasing them, they will become more moderate. 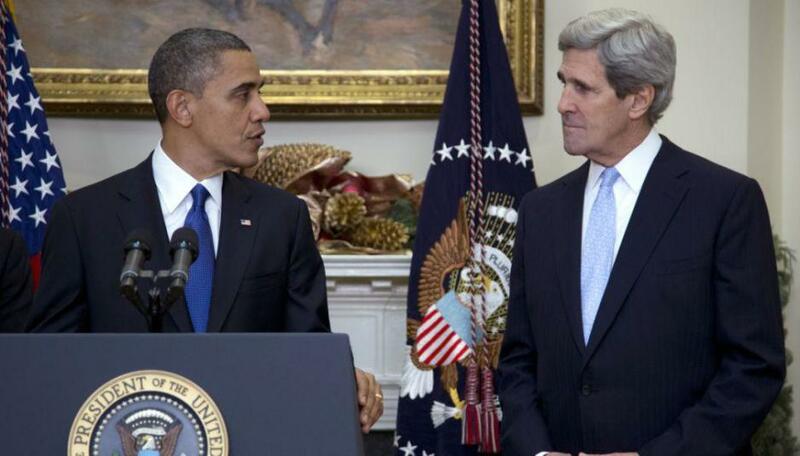 Over the past month we have witnessed the climax of the U.S. political abandonment of Israel. Obama, who repeatedly condemned Netanyahu for remarks made in the heat of an election even after he had clarified and withdrawn them, has emboldened the Palestinian extremists by failing to utter a single condemnation of Mahmoud Abbas for his vicious ongoing incitement and calls for Jewish blood. Worse still was Secretary of State John Kerry, frequently referred to as an unguided missile, who made a series of inexcusable demented remarks. He refused to apportion the blame for the killings and even hinted that the Israelis had brought the violence upon themselves. He related to “violence on both sides.” Both sides? He claimed that the Palestinian killings had been ignited by Palestinian “frustration” over the failure to negotiate a two-state solution and the “massive increase of settlements over the course of the last few years.” This bears no relevance to the facts as settlement building in the last few years has been dramatically reduced. The frenzied killers are unquestionably motivated by the incitement and lies being promoted insisting that Jews plan to destroy Al-Aqsa. Kerry also demanded that the status quo at the Temple Mount be upheld “in word and deed” knowing fully well that this has constantly been the policy of the Netanyahu government. Such ambiguous statements gives credence to the Palestinian lies. State Department spokesman John Kirby even accused Israel of violating the status quo on the Temple Mount – and thus effectively also fanning the inflammatory Al Aqsa frenzy and called on “both leaders” to combat the incitement which leads to a “cycle of violence.” He was subsequently forced to retract but the damage could not be undone. He also stated that the U.S. had “seen some reports of security activity that could indicate the potential excessive use of force” against the psychotic killers. To top off these outrageous outbursts, Obama made a statement assiduously avoiding use of the term terrorist and patronizingly endorsed Israel’s right to “protect its citizens from knife attacks” from “random violence (sic).” He then spat in our faces by effectively blaming both Netanyahu and Abbas for the incitement. 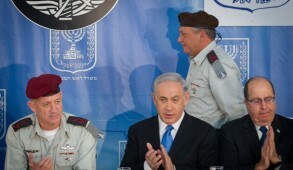 For Israel’s one true ally to descend to such Orwellian depths as to place the Israelis in the same category as religious fanatics operating a killing spree is utterly contemptible, encourages the barbarians to accelerate their murderous activity and thus assumes a share of responsibility for the innocent Jews murdered in the days to come. 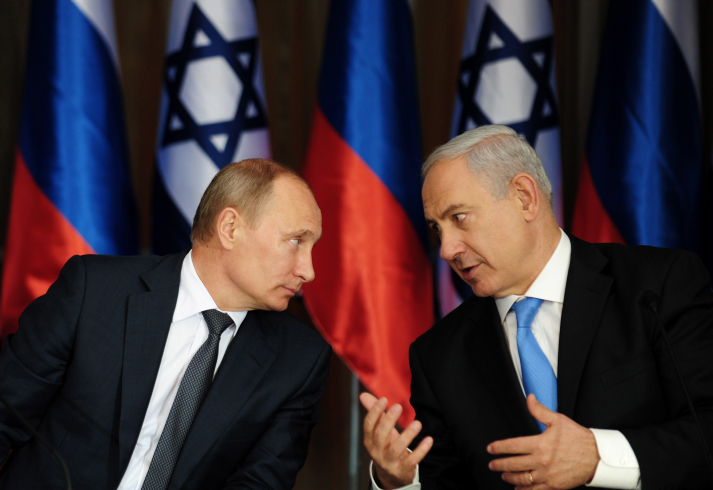 To compound matters, the White House critiques also serve as a green light for Europe to pressure Israel into making further unilateral concessions which would undermine its security. 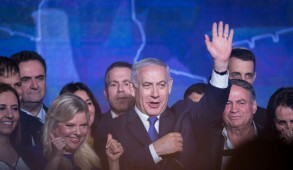 Under diplomatic constraints, Netanyahu has instructed ministers not to respond to the shameful remarks by the administration and its spokesmen. But such restraints do not apply to American Jewish leaders. In the face of such a reprehensible attitude by the Obama administration to Israel at a time when psychotic murderers have been programmed to kill Jews in the streets, one would have expected the American Jewish community’s leadership to condemn their government and launch public protests. 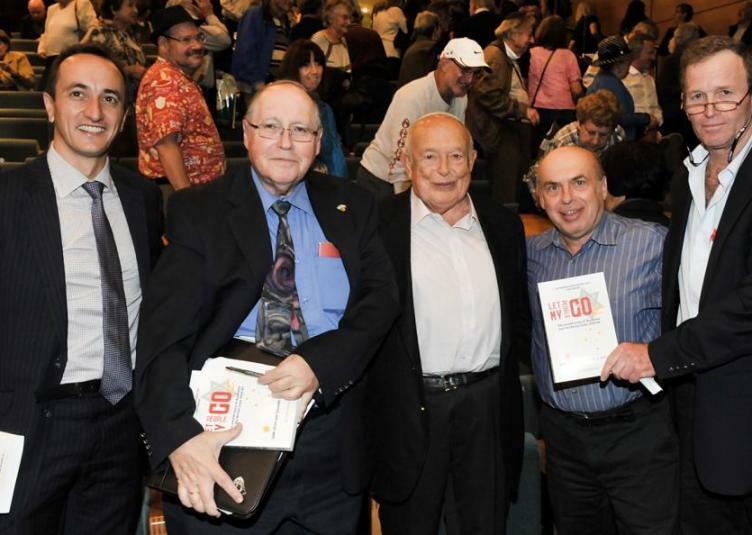 American Jews continuously stress that in the U.S. they can speak out as Jews without fear. Yet when it comes to criticizing Obama, despite the fact that the majority of the nation and both houses of Congress support Israel, a deafening silence envelops the Jewish leadership. I make these remarks in my capacity as a former Diaspora Jewish leader rather than an Israeli. 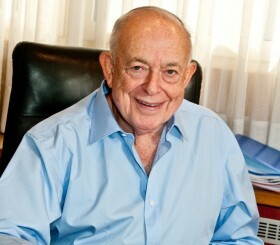 I was head of the Australian Jewish community and Chairman of the Governing Board of the World Jewish Congress and have personally experienced the enormous pressures which can be exerted against a leader to be politically correct and avoid confronting his government when it adopts positions which lack moral compass and harm the interests of the Jewish people. But there is a time when leaders must speak out or be damned. The U.S. refuses to pressure Abbas to cease calling for the murder of Jews and instead engages in moral equivalency, holding victims and perpetrators equally responsible for the violence. No American administration has ever behaved in such an appalling manner toward Israel. 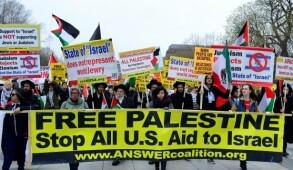 Yet the sole response of the Jewish establishment, as manifested by the major Jewish religious movements in conjunction with the Conference of Presidents of Major American Jewish Organizations, is to observe a “Sabbath of Jewish Solidarity.” This reflects the solidarity of American Jews with Israel during these difficult times but it is certainly is not an acceptable response to the administration’s lies and distortions. Unless American leaders speak up now, they will be justly accused of following in the footsteps of the American Jewish leader the late Rabbi Stephen Wise, who in 1944, under pressure from Roosevelt, remained silent when Jews were being murdered by the Nazis. It would be outrageous if a response is being withheld out of a desperate desire to maintain consensus at the lowest common denominator. Likewise, if the motivation is not to distress deluded Jewish liberal contributors or a concern about coveted access to the White House, these factors are simply irrelevant under the current circumstances. Principled Jewish supporters of Israel must speak out and protest now, even if this means dividing the community. If Jews remain silent in the face of the libels directed against the Jewish state by the administration, aside from failing to provide an example for their children, they will be betraying their responsibility as Jewish leaders.